Green Smart is a Middle East based industry specific operation formed to provide rope access services with varying scopes. Established in 2011 and working under rope access experts, Green Smart has the ability to provide a value added comprehensive solution for remote access PROBLEMS at heights. We have at our disposal an expert team of technicians who are highly skilled in the art of rope access in addition to skills in many other disciplines. This enables us to not only access extreme locations but to carry out the REQUIRED tasks when we get there. 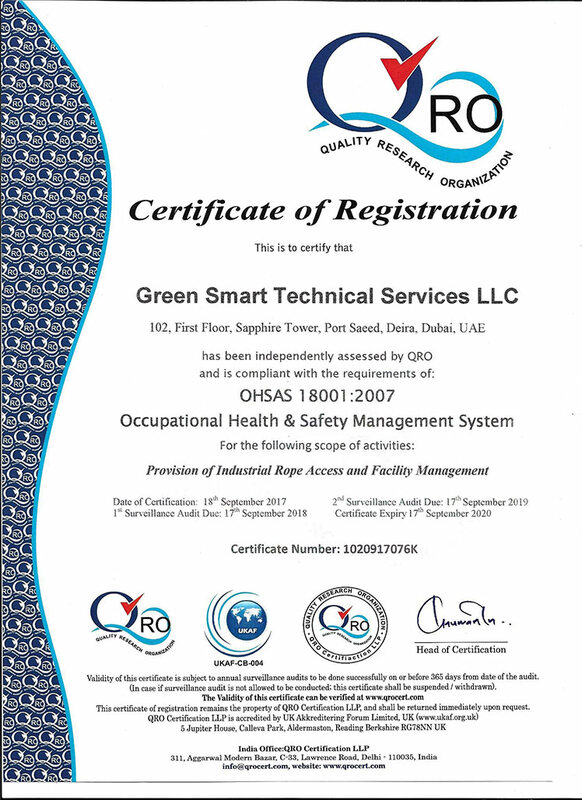 Safety is our primary objective and a robust Health and Safety culture exist within Green Smart, driven by core values of understanding and ownership of personal and collective safety. We offers highest level of commitment, dedication, reliability and efficient rope access cleaning services as per stringent safety standards, and our proactive management team are committed to provide high quality services. With Green smarts unique approach towards specialized high level cleaning services and eco friendly procedures, ensures safety & welfare of public as well as communities. Green Smart thrives on the ideology of reducing ‘carbon footprint’ and protection of our environment, as well strive to achieve continual improvement in environmental performance. We focus on eco friendly procedure thus reducing impact of our operation on the environment. 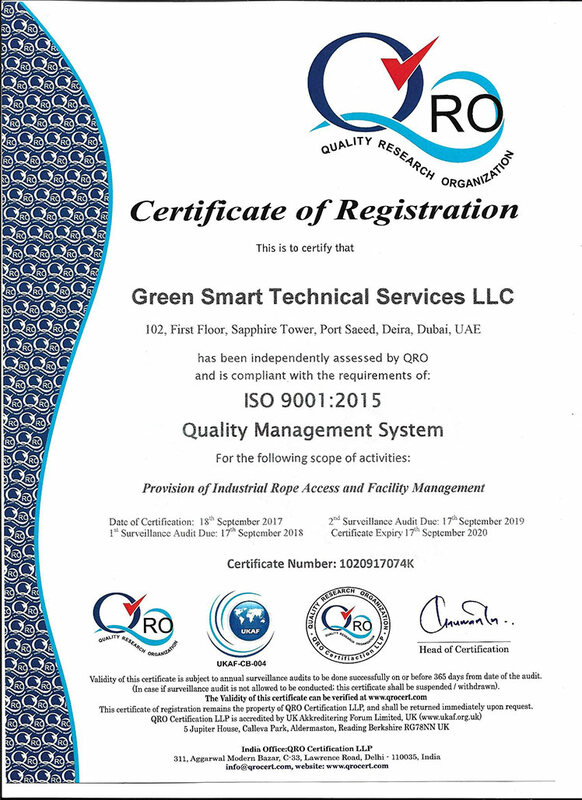 Green Smart is just one of the operating syndicate under the joint umbrella of Green World Group of Companies. Our focus is to provide unmatchable services to our valued customers in their inspection, maintenance, repair and installations needs.